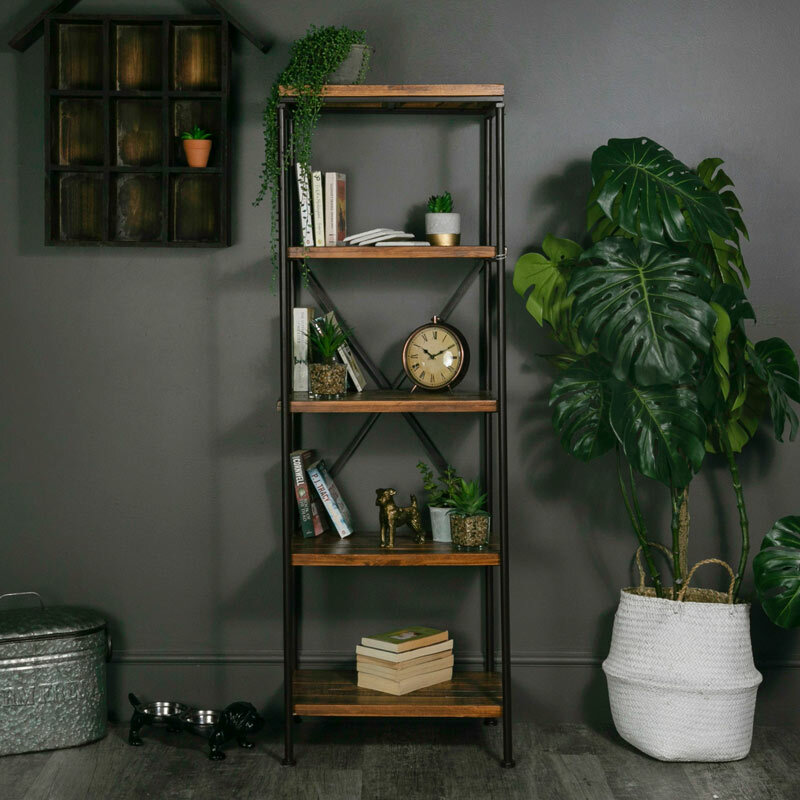 This tall, slim shelving unit will add an industrial twist to your home furnishings. Solid and sturdy design that will fit in with rustic, industrial and loft living styled interiors. The tall, slim design is ideal for those rooms that lack space and will be perfect for use as a display unit, bookcase or simply for additional storage. With 5 shelves that offer a great plenty of space for ornaments, books or plants and flowers. Great utility shelving that is made to stand the test of time. This unit is a great addition to our selection of industrial style storage and shelving. This tall, slim shelving unit will add an industrial twist to your home furnishings. 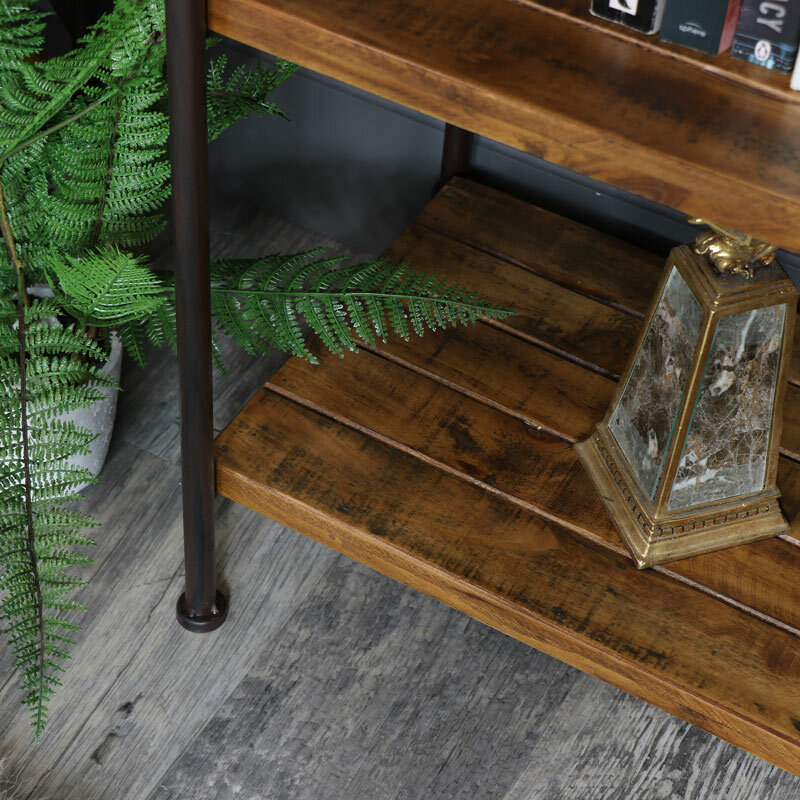 Solid and sturdy design that will fit in with rustic, industrial and loft living styled interiors. The tall, slim design is ideal for those rooms that lack space and will be perfect for use as a display unit, bookcase or simply for additional storage. With 5 shelves that offer a great plenty of space for ornaments, books or plants and flowers. Great utility shelving that is made to stand the test of time. This unit is a great addition to our selection of industrial style storage and shelving.